An Income Annuity provides a retirement income that cannot be outlived, guaranteed. To learn more, click here. The 401(k) plan is now the the most popular retirement savings plan in the United States of America. The growth of 401(k) plans is directly attributable to a shift away from traditional defined benefit pension plans, where employers are responsible for providing retirement benefits to their employees, to 401(k) and other defined contribution plans, where participants share in the responsibility for saving and investing for their retirement. 401(k) plans can be a powerful tool for employees, as well as business owners, to save for retirement. Do you want to know more? Call us today (800) 680-5596. Life Solutions has several 401(k) plan packages specifically designed to solve the problems associated with the more common cookie-cutter plans that most business owners find lacking and insufficient for their needs. A customized 401(k) plan design that provides meaningful retirement benefits to the business owner and their key employees is essential to the ongoing success of a small business 401(k) plan. 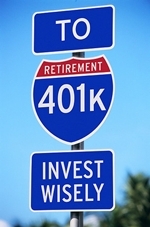 Any size business, any type of business, can have a 401(k) Retirement Plan.